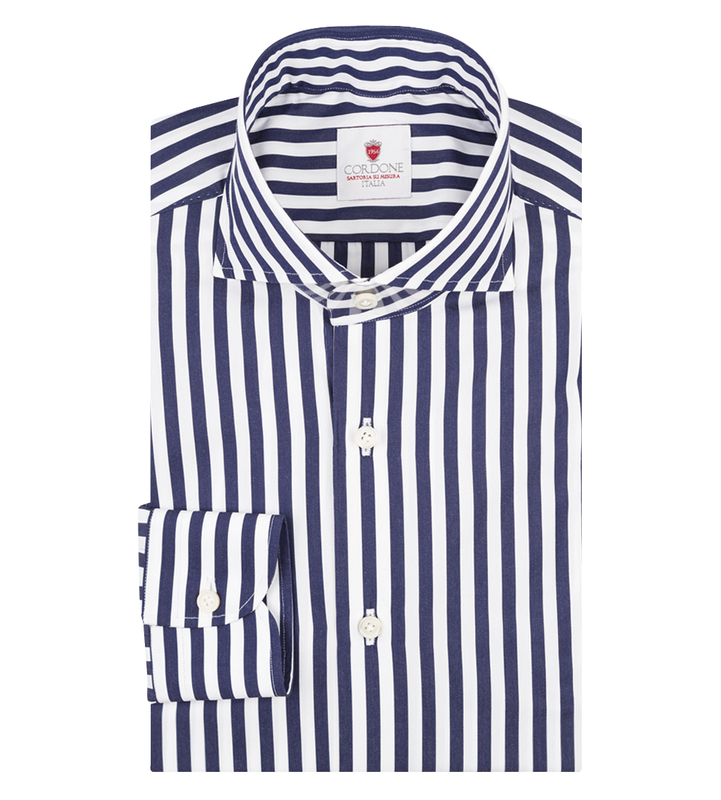 An assured choice to accompany business suiting, Cordone 1956's navy and white candy striped shirt is made from cotton-poplin for an impeccably crisp finish. Precision tailored in Abruzza with a cutaway collar and single button cuff, every cut and stitch in this shirt's construction is guided by decades of bespoke craftsmanship. For any questions and styling advice, please contact us at: shop@therakemagazine.com. Follow The Rake to get news updates and products on your homepage. The Rake is being followed by 0 people. Get Free Shipping on All Orders When You Enter The Code RAKISHSUMMER at Checkout!